Challenge We have been working with PerfectFit media for a number of years now and we are delighted with the standard of service that they offer us. 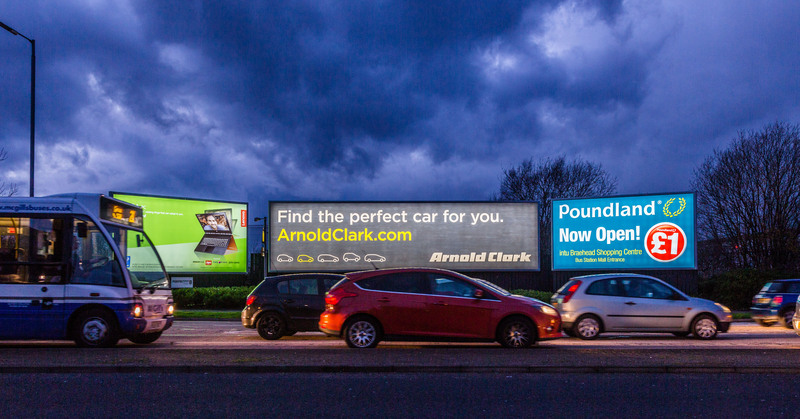 Solution Out of home media plays a crucial part in our integrated marketing strategy here at Arnold Clark, and ensures our brand is at the forefront of our customers’ minds when they’re choosing their next car. Result PerfectFit has given us an ideal platform on which to share our messages with our audience, helping us to achieve targeted coverage and presence in areas where we need to enhance our brand awareness. I would warmly recommend them to any business hoping to achieve an impactful, tailored campaign with fantastic results.